The stylishly designed HA-S30BT Bluetooth headphones are ready for streaming audio from a compatible device within a 10m range. 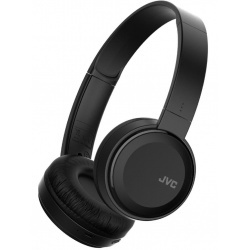 These light-weight on ear headphones feature powerful low frequencies and a Bass Boost function for your listening pleasure. The HA-S30BT-B-E Headphones feature Bluetooth technology, allowing you to enjoy your favourite music wirelessly without the hassle of cables. It's got a 17 hour battery life, so you can listen to your music for longer before needing to recharge the battery - ideal for music on the move. With 30 mm neodymium drivers, the HA-S30BT-B-E produces dynamic sound to bring your audio to life. Its lightweight design can be folded flat for easy storage and transportation. A Bass Boost function can deliver extra bass to enhance your music, while its memory foam earpads allow you to listen in comfort for extended periods of time. The HA-S30BT-B-E has a built-in microphone, allowing you to answer phone calls on the move without needing to remove the headphones. Remote and volume controls on the earcup make it easy to adjust the audio quickly, and for added convenience the headphones are compatible with all smartphones. A retro look replica of the radios of the '50s equipped with transistor technology. Just like those classic wooden models of the past, it has a woven cloth speaker grill, back lit display and is housed in a grained veneer wooden case. The stylish retro design of the itek 160011 mini hifi hides technology both modern and old inside. 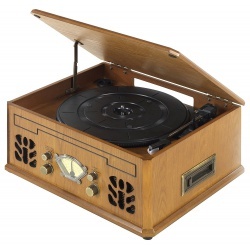 Enjoy the unique pleasures of vinyl with the turntable or dig out your tape collection for an alternative trip down memory lane. You can also play CDs and tune into FM radio stations for a truly versatile listening experience. The built-in speakers at the front mean you've got everything you need to start listening straight away. See for yourself how the SRS-XB31 gives you the feeling of being there. All you have to do is bring your friends. Enhance every beat and give your party that extra boost thanks to EXTRA BASS™️. There’s no fun without party lights. The SRS-XB31 has multi-coloured flashing lights that sync to the beat, including new line lights and a flashing strobe. Simply tap your speaker in different places to make different sounds - like a scratch, snare, kick drum and cowbell. Control the volume with force, tap gently for a soft sound or give it a good hit for a loud output. Enjoy the same song with Wireless Party Chain. Connect up to 100 wireless speakers with BLUETOOTH® technology and the music and lights sync-up so everyone dances to the same beat. A new fabric design, not only looks good, but is tough enough to take whatever you throw at it. Your SRS-XB31 is uniquely rustproof, so not only does it look good, but you can also drop it in the sea without a problem. With an IP67 rating, your speaker can be immersed in water and thanks to the high quality fabric made exclusively in Japan, there'll be no problem washing it. Thanks to the IP67 rating, you can take your speaker to the beach, the forest, the desert, or wherever you like - the SRS-XB31 will keep on playing, no matter how dusty the surface. A 24 hour battery means the SRS-XB31 can party even longer than you can. Sound effects with Party Booster. With its powerful 400 Watt speaker output, the Panasonic SC-AKX200E-K produces big sound, making it great for parties. 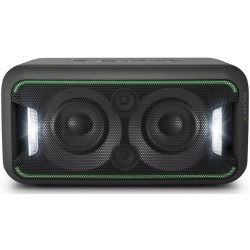 Its large woofer produces powerful bass with minimum distortion for better audio quality whatever you're listening to. The SC-AKX200E-K provides plenty of ways to enjoy your music. Listen to albums stored on a USB stick, hear the latest chart music on FM or AM radio or pop a CD into the CD player. How you listen to your music is up to you. Another way to listen to your music is to stream from your smartphone. With Bluetooth wireless technology there's no need to plug in your device. Simply pair your smartphone and listen through the speakers. The DJ Jukebox selects songs from a USB device with Mix Play Mode creating a party atmosphere. Large dials on the front let you or your friends scroll through and request upcoming songs from several playlists as if from a real-life DJ. With two USB slots another friend can instantly add their own music to the party playlist. Enjoy your large screen TV with audio at a level right for you, thanks to the SRS-LSR100. This easy-to-use wireless speaker connects, and even controls, your TV allowing you to dial in a personalised volume level just for you, without disrupting other viewers in the room. And since it’s plug-and-play it’ll get to work right out of the box. It’s easy to use right away. Just connect to your TV and you’re done. No complicated settings, and no need to purchase additional cables or batteries. Whether you watch TV for relaxation, to enjoy with family, or while you’re doing something else, having the sound right there by your side will keep you from missing out. If you’re watching TV by yourself but it’s hard to hear, you can make the dialog crisp and clear with Voice Zoom. Watch TV even late at night without disturbing family or neighbours. If the TV is difficult to hear, just bring the sound closer. Having the speaker nearby helps you, and your friends and family, listen while keeping you in the conversation. Keep track of the commentary or plot-line without having to move closer to the TV, with this compact and portable speaker. The drip-proof design even makes it suitable for use in the kitchen. Mother’s Day, Father’s Day, any day is a great time to show your appreciation. Simple design makes it easy to operate and enjoy, even for those who aren’t great with gadgets. Simple connectivity. Long battery life. Simply connect the supplied Charging dock/ Transmitter to your TV’s optical-digital or headphone output and you’re ready to go. A full charge gives you up to 16 hours of wireless listening. Sony’s original technology analyses voice elements from TV sound and boosts them for easy listening. Uses 2.4 GHz wireless transmission for stability and high resistance to interference. Equipped with Sony’s high-capacity Li-ion battery to run for up to 16 hours on a single charge. 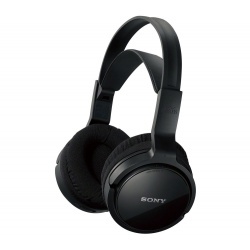 Compatible with major TV brands equipped with headphone or optical output. Listen to your favourite music loud and proud in high quality with the Sony GTK-XB5B Wireless Megasound Hi-Fi System. It's got an Extra Bass function that adds serious low-end power to your tunes, ideal for dance music when you're throwing a party. Enjoy club-like sound with ClearAudio+, which automatically adjusts your sound settings for an enhanced listening experience. 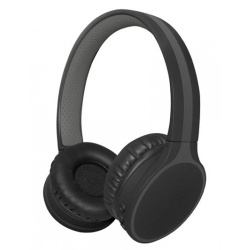 It uses cutting-edge digital processing technologies for detailed, consistent high-end sound for music – or gaming and movies if connected to your entertainment setup. Lighting sets the tone for an evening – use the built-in strobe, speaker lighting and multi-colour line lighting to liven up your party. The lights work in sync with the beat for a more exciting feel. Position the XB5horizontally or vertically according on how your room is laid out and the atmosphere you want to create. Enjoy double the sound by syncing your Sony XB-5 with other GTKXB5 systems (sold separately) via Speaker Pairing. Party Chain lets you link the lights and sound between each for a next-level music experience. The Hi-Fi uses its built-in sensor to automatically trigger the top two tweeters, delivering stereo sound in upright or horizontal layouts. With Bluetooth you can stream content straight from a smartphone or tablet to the speaker. One-touch pairing via NFC lets you directly access your digital music library. The SongPal app works with your iOS or Android smartphone or tablet – download it for free and enjoy wireless control and customisation. Change the lighting, turn on DJ sound effects, adjust EQ settings and get the speaker sounding and feeling just how you like it. You can also access playlists from synced devices to line up the next song and keep the party atmosphere flowing wherever you're standing. Give your movies, TV shows and games a boost by connecting the XB5 to your TV or compatible AV gear via the RCA jacks. 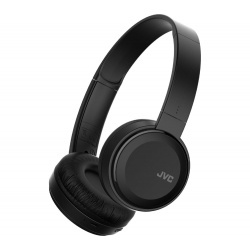 You can also plug in a phone, computer or MP3 player that doesn't have Bluetooth using the handy 3.5 mm jack – there's always a way to enjoy your song libraries out loud. 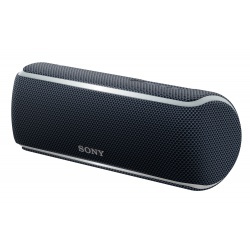 With convenient carry handles and a relatively lightweight design, the Sony speaker can easily be transported or moved between rooms.